Legs Eleven Casino Welcomes New Players with 100 Free Spins! Legs Eleven is an online casino belonging to the new wave of operators and a part of the respectable LeoVegas network. This is one of the 15 online gaming sites operated by the group and one of the most popular, in terms of game selection and number of players. The casino works with more than a dozen software developers to provide mobile friendly games to an international audience. Legs11 focuses on the UK market and has a website translated in English, with customer support offered in this language. Legs Eleven casino games cover the entire spectrum, but video slots are at the cornerstone of their comprehensive collection. With so many software developers providing them with the latest slots, as well as classic titles, players enjoy an unmatched freedom of choice. 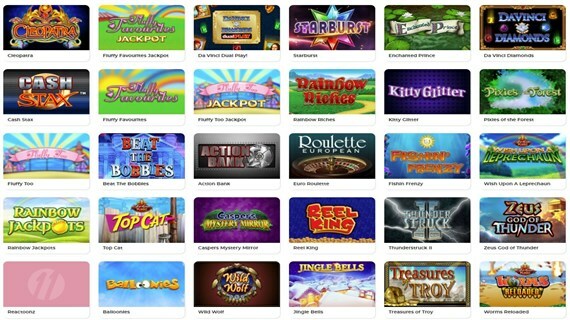 Everything from Gonzo’s Quest and King Kong Cash to Rainbow Riches and slots with fruity themes can be found here. All these games are available in demo format and can be enjoyed for free without spending a dime out of pocket. The upside of working with so many casino game providers is that players can chase one of the many Legs 11 casino jackpots. The progressive slots are pooled with other casinos, so players can win life-changing amounts with a minimal investment. Exotic progressive jackpot slots such as The Pig Wizard, Deal or no Deal can be found here, next to the most popular counterparts from Microgaming and NetEnt. To enjoy the thrills of table games, players should head on to the Legs Eleven live casino and try some of the blackjack, roulette and baccarat games there. The croupiers have a friendly demeanor, are fluent in English and happy to interact with players throughout their gaming sessions. The games are broadcasted in real-time from great-looking studios, using state-of-the-art WebCam technology. It simply doesn’t get any better than this if you want to play live dealer table games. The gaming option includes a healthy selection of lottery inspired titles, such as bingo and keno, and all the classic versions of video poker. There are two Legs Eleven casino welcome bonuses up for grabs, one requiring a deposit and the other offered with no strings attached. As a new member, you will be eligible for the 11 free spins awarded to all those who sign up for a real money account. No deposit is needed and free spins recipients are expected to use them on the popular Starburst slot from Net Entertainment. New players who load their account for the first time will be rewarded with a massive bundle of 100 free spins. A minimum deposit of €50 or currency equivalent is required and once again, the qualifying slot is the Starburst classic. These two promotions are not mutually exclusive, so players can receive the initial batch of 11 free spins before unlocking the remaining 100 bonus rounds when they make the first deposit. Regardless of how successful you are in converting the 111 free spins offered to new players into cash, you’ll be able to unlock many more rewards. Bingo fans can consider themselves lucky because some of the most generous Legs Eleven casino promotions are dedicated to them. Every day, those who play bingo during the Happy hour will have a chance to recuperate 100% up the money lost. They will also be eligible for BOGOF and free ticket bingo games if they play in the Room 1 and the 75 Ball bingo Room. The daily Legs11 promotion for bingo players start every day at 6 PM UK time and concludes one hour later. Players will have another window of opportunity at 9 PM and all those who buy a minimum of four bingo tickets will be eligible for prizes. These include Pick a Box or Spin The Wheel bingo games and the fans of this genre will have another chance to win the very next day. The Legs Eleven payment methods available allow players to deposit funds instantly and cash out their winnings in less than five banking days. A minimum deposit of £10 is required and players can load their account with a maximum of £50,000, while cash outs are subject to a 24 hour pending period. Players are expected to use the same payment methods to deposit and withdraw money whenever possible. Customer support is available 24/7 and players can get in touch with a specialist via live chat or email. No toll-free numbers are offered, and there’s no phone support offered at all. This is in fact, one of the few shortcomings of this casino, but players are likely to find answers themselves in the FAQ section. Legs Eleven casino games are supplied by some of the best known and most prolific software developers. Bede Gaming, Blueprint Gaming, Core Gaming, Evolution, Eyecon, GW Games, Genii, IGT, NetEnt, Microgaming, Realistic Games, Red Tiger Gaming, SG Gaming and Williams Interactive games can be found here. They can be played straight in the browser on virtual and real currency and players don’t have to download anything. The casino has the website optimized for mobile devices and players can bet on the go, but there is no dedicated mobile app currently available. Legs Eleven projects an image of trustworthiness, as it is licensed and regulated by the Malta Gaming Authority and the United Kingdom Gambling Commission. The software developers powering their games are among the best-known and most appreciated suppliers of online casino games. These have the random number generator certified fair by independent auditors to ensure a reasonable house edge. The casino uses SSL encryption to protect the sensitive data shared by players and safeguard transactions. Players who need help with gambling addiction are referred to support groups and organizations. There are just three steps to complete when opening a real money account. First, players have to enter the email, username and password, while during the second step, the first and last name, as well as the date of birth and gender, needs to be entered. In order to wrap up the registration process, players have to share their address, country of residence and a valid phone number. To verify the account, the casino might ask for copies of the ID card, bank statement or utility bills. This Legs11 Casino review has shed some light on one of the flagship gambling operators from the LeoVegas network. The nice assortment of games, generous bonuses and reliable payment methods are key ingredients in the recipe for success. This casino welcomes players with an abundance of free spins and is one of the few offering no deposit bonus rounds. Mobile friendly and working with prestigious software developers, it has a lot to offer to players who enjoy gambling on smartphones and tablets. - Legs11 Casino works with more than a dozen software developers to provide hundreds of popular games - The casino has a vibrant live dealer section and mobile friendly games that can be played in the browser - Deposit and withdrawal limits are reasonable and players can choose between many payment methods. Support is only offered via email and live chat, with no phone numbers available.